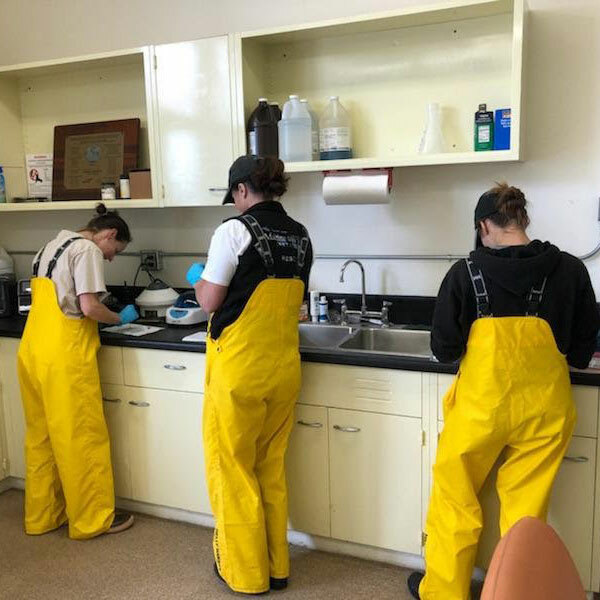 Two Como zookeepers work to rehabilitate endangered marine mammals with the help of Como Friends’ Conservation Champions program. Como Zoo has a long history of helping marine mammals in crisis, from providing safe harbor to rehabilitated sea lions like Subee, to welcoming Feisty, the harbor seal who made international headlines when flood waters overtopped his habitat at the Lake Superior Zoo and sent him on a wild ride through the streets of Duluth. 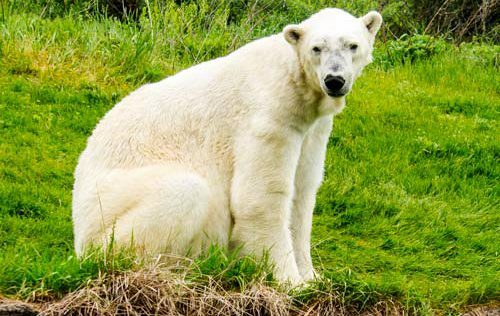 Now, as marine mammals in the ocean face growing dangers from ecosystem changes, Como Zoo aquatics keepers Becky Sievers and Julie Yarrington decided it was time to learn more about what conservation groups are doing to rescue and rehabilitate Sparky’s wild cousins. With a grant from Como Friends’ new Conservation Champions program, the two experienced keepers traveled to California’s Pacific Coast to serve as volunteers with the Channel Islands Marine and Wildlife Institute, an all-volunteer conservation group based in Santa Barbara. While both keepers are accustomed to caring for and cleaning up after sea lions, Yarrington says that refraining from building a relationship with the orphaned and malnourished pups and young sea lions they met during the project was a brand new experience. 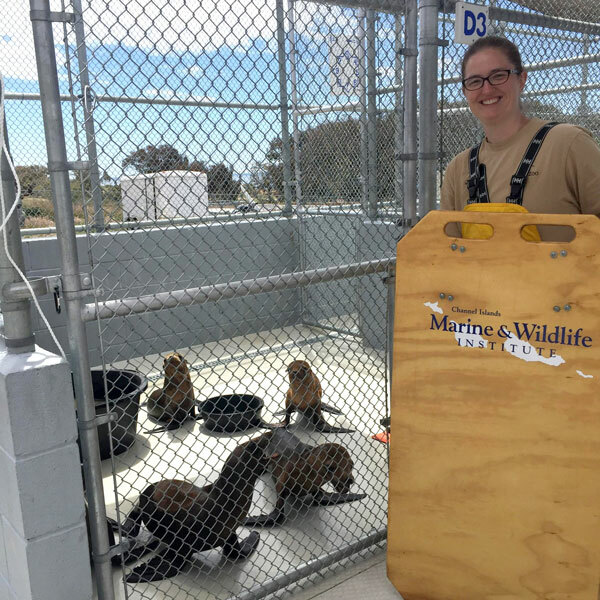 At the Channel Islands Marine & Wildlife Institute, volunteers like Julie Yarrington stand behind herd boards like this to minimize contact with wild sea lions and ensure their success returning to the wild. 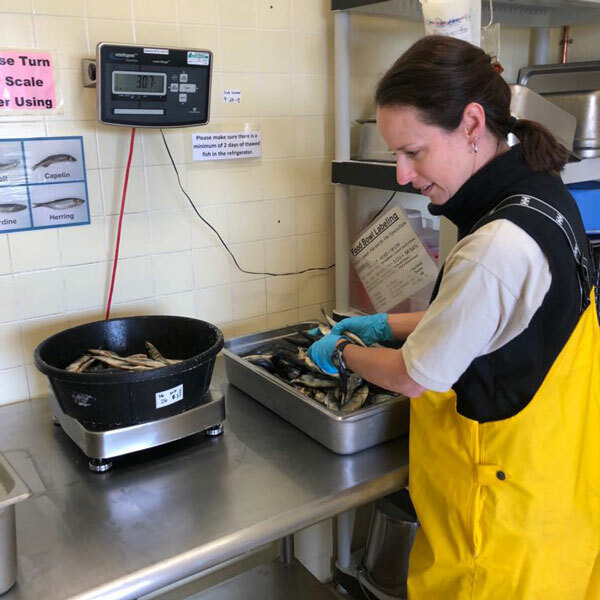 Como Zoo keeper Becky Sievers measures out the right-sized diet to help malnourished marine mammals make their way back to the ocean. Subee, Como Zoo’s current Sparky the Sea Lion, was injured in a shark attack that put her survival in the wild at risk. 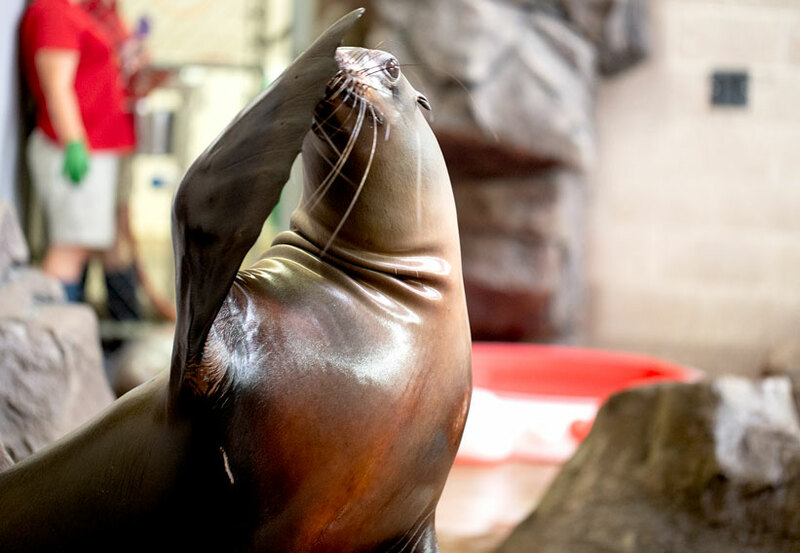 A frequent partner to marine mammal rescue organizations, Como Zoo has provided safe harbor to several rehabilitated seals and sea lions in recent years. 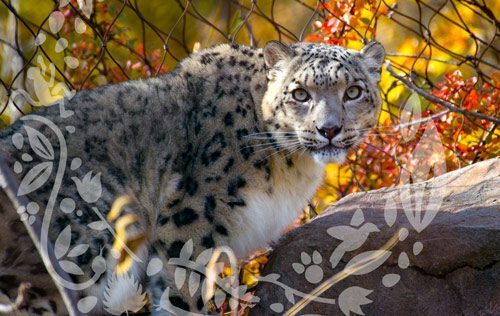 The upcoming Como Harbor, now under construction, features a new state-of-the-art training and enrichment facility, allowing Como Zoo to continue improving animal care and conservation efforts for threatened species. 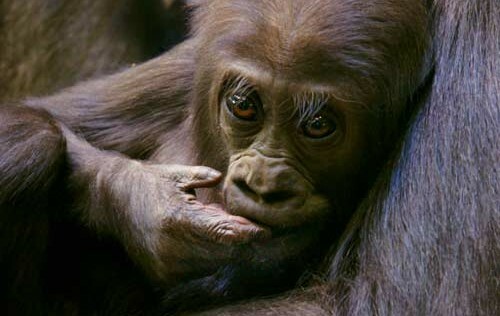 See this story, and other, Conservation Champion stories in The Como Friends Insider.